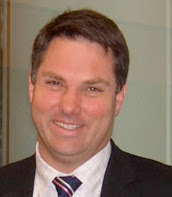 On 3 April, DCSCA Committee members met local MP Richard Marles to discuss a range of local issues. Richard is the federal member for Corio and Parliamentary Secretary for Pacific Island Affairs. (ii) The Rail Trail. We told Mr. Marles that DCSCA was concerned for the safety of people on the rail trail who wish to cross the main road at Drysdale Station. He said that he will write to the City of Greater Geelong about the issue and invited DCSCA to send him anything that will support the case for a safer crossing. (iii) A Portarlington-Melbourne ferry service. We said that the success of a Portarlington-Melbourne ferry service will depend partly on the construction of a Drysdale bypass! We believe that three events should happen consecutively: construct the Drysdale bypass, construct a 'safe harbour' at Portarlington, then initiate the ferry service. Without the bypass, the ferry will be a less attractive option, because vehicles heading to and from the ferry will have to negotiate the congestion in Drysdale High Street and, of course, will add to it. (iv) The Geelong Ring Road. We discussed the proposed extension of the Ring Road to connect with the Bellarine Highway and the precise status of the road (e.g. infrastructure such as traffic lights). The general feeling was that the extension will happen, but no-one knows just when it will happen. We told Mr. Marles about the continuing destruction of the historic mineral springs site at Clifton Springs, due to erosion of the cliff face. He said that he will raise the issue in parliament and invited DCSCA to send him anything that will support the case for action to be taken.